We would like to propose an easy walking tour which reveals an area of great geological and scenic interest: Marchetto Canyon. Comfortable clothing and footwear appropriate for an excursion in the countryside is advised. By car: from Piazza Matteotti leave the city through Porta Perlice and take route SS444 in the direction of Gualdo Tadino – below to the left is the deep gorge of the stream Tescio; after about 6 kilometers, directly in front of the little private church of Pian della Pieve, leave route SS444 and turn right onto a dirt road which, after passing over a little bridge, brings you under the arcade of the large Ponte Francescano where you can park your car (6,2 km from Piazza Matteotti). Walking itinerary: from the rest stop beyond the arcade of the large Franciscan bridge and before reaching the little bridge, turn left onto a well-marked path (there is a no thoroughfare sign), which goes up along the right slope (on the map) of Marchetto Canyon. After a brief level grassy stretch, the path becomes discontinuous and begins to rise, then levels out again (here you can glimpse the deeply-embedded ravine below with its deep chasms) until it reaches the destinctive Marchetto bridge (40 minutes from the start) which projects over the wild chasm with an exceptional view of the vertical rock-face and the sinuous progress of the course of water below (be careful!). The bridge, certainly medieval, in ancient times was known as the Bridge of the Wolves and represents an important arterial path between the city and the vast countryside to the East. 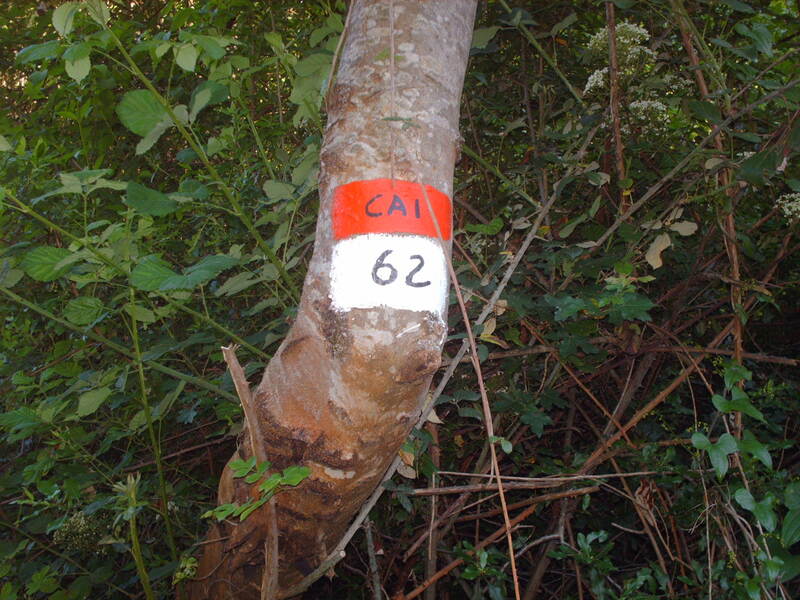 Leaving the bridge to your right, proceed following the red and white trail signs 51 to Ponte Cavaliero (18th century), near the confluence of Cavaliero Canyon into Marchetto Canyon. Once again leaving the bridge on your right, proceed slightly uphill skirting the gorge until you reach a fork in the path. Ignore the sign for trail 51 and take the little level grassy road to the right which soon leads to a waterfall Fersena, which can be heard for some distance; over the waterfall is the Norcia-Assisi-Perugia aqueduct by which you can reach the head of the waterfall (once again, be careful!). Returning to the fork, take up the marked path again. With a couple of upward turns in the path you come out of the woods; skirt the cultivated field until you reach Casa Poderaccio (40 minutes from Marchetto Bridge). 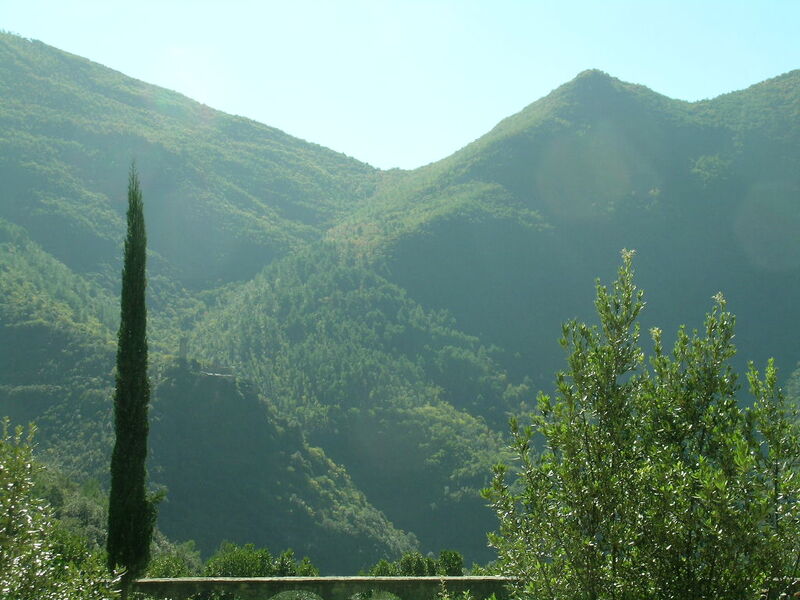 Beyond the house, leave trail 51 and take a dirt road to the left that, in slight but constant descent (beautiful panoramic view of the wooded northern slope of Mount Subasio and the surrounding hills) will bring you pleasantly back to the starting point (40 minutes from Casa Poderaccio). At the end of the excursion, returning toward Assisi on route SS444, we suggest a brief stop at Restaurant da Giovannino at Ponte Grande where, in homey and hospitable surroundings, you can taste the characteristic local dishes cooked in the authentic traditional manner. The following journey lets one observe the medieval walls of the town, with interesting and unusual views. It is advisable to wear comfortable clothing and shoes suitable for a country hike and bring a camera: it will definitely be used. There are no problems of direction and it is sufficient to follow the description and have a map of the town. The entire journey—at an even pace and without any hurry—takes about 4 hours. However, the journey can be shortened at several points. The eight town gates along the journey were all built in the second half on the 13th centry, because the municipality’s Council “Consiglio del Comune e della Magistratura” decreed to build them in 1260. And now, have a nice walk around the walls. 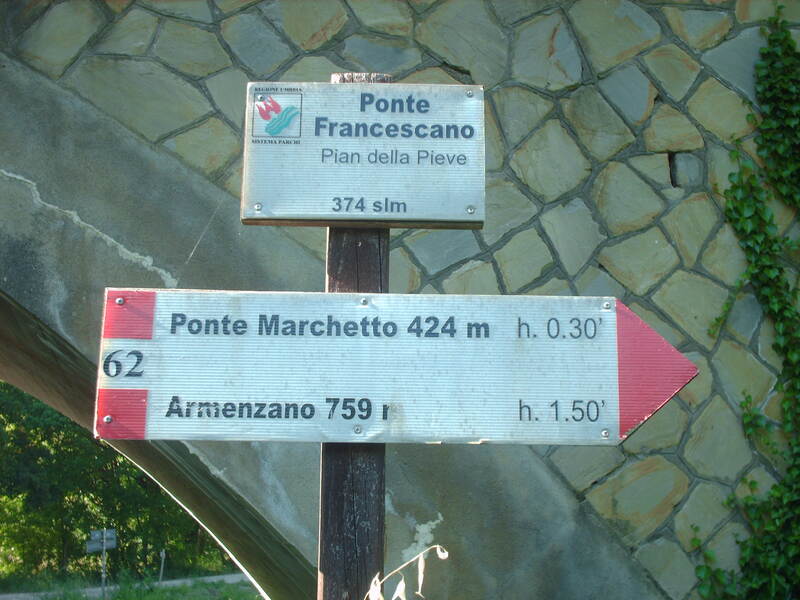 ROUTE: From Piazza Matteotti, locally called Piazza Nova, go uphill along Via Santuario delle Carceri. As soon as you go through the gate Porta Cappuccini turn left onto a dirt track that goes uphill—lined with two rows of cypress tress—that line the external perimeter of the Rocca Minore (14th century) or Rocchicciola. Once you reach the castle’s keep, leave the dirt track and take the evident path downhill, which has a beautiful panorama of the fortress Rocca Maggiore. The dirt road runs along the walls and, after passing some awful huts, leads to the Porta Perlici gate. Soon after going through the arch, turn right along Via Porta Perlici. 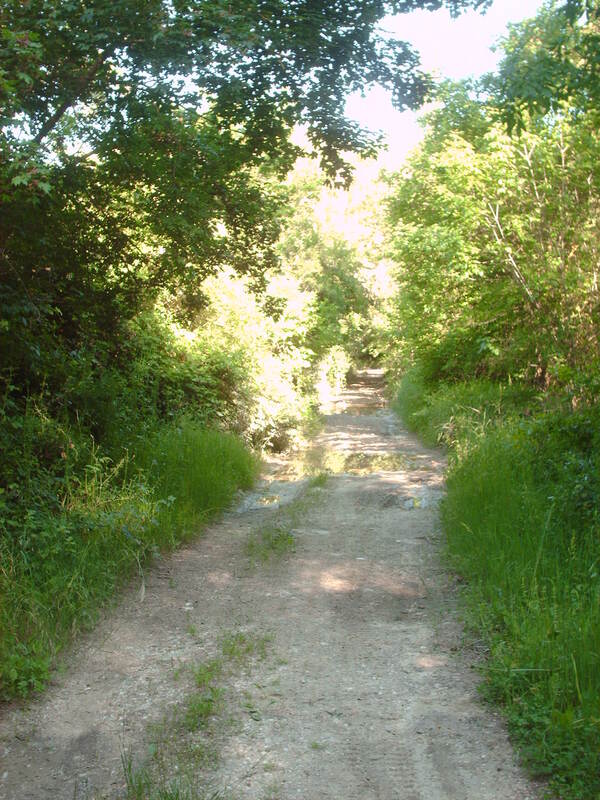 After walking for about 200m, right at the beginning of a parking area on the right, take a downhill dirt road on the right that initially runs along a metallic green fence. 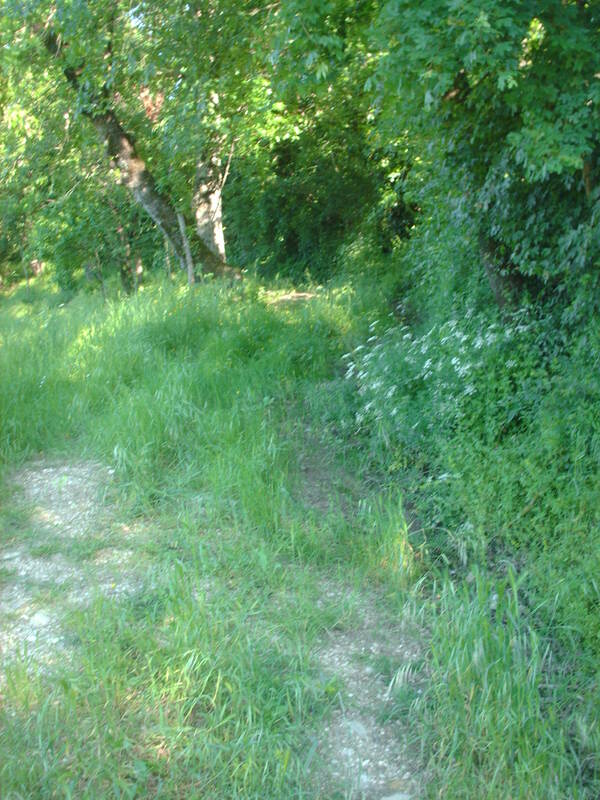 Soon after the path forks, do not take the path that descends to the asphalt road underneath but take the road on the left that rises towards the town walls. At the next fork, go straight on. Below runs the gully of the Tescio Torrent with the Tardioli Mill and a tower in ruins. If it’s on a sunny afternoon, the Rocca Maggiore’s profile cuts across the slopes of the Col Caprile. A ramp with a steep ascent takes you back behind the walls. By looking ahead past a thick strip of broom and asparagus you can see the Rocca Maggiore’s polygonal tower. Destroyed in civil battles and wars with Perugia—that gave birth to the Local Town Council of Assisi1198-1202—it was rebuilt in the 14th century. The cemetery is below. By taking a few short steps to the left you reach a square area in front of the fortress. Continue along an obvious path downhill that leads into an olive grove near a private farmhouse. Veering right leads you down onto the dirt track below, hence to the left of the farmhouse. 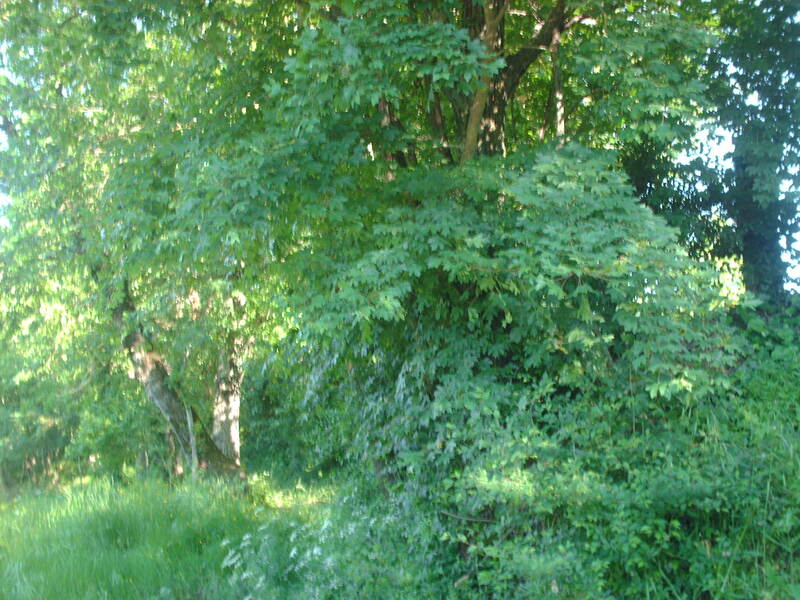 It is polite to ask permission to walk through the property. Once you take the dirt road that runs along the walls and after passing a gate (that must be shut after passing through) you descend amidst olive trees in the direction of the Basilica of St. Francis. You skirt the new car park; a short flight of descending steps leads to Porta San Giacomo, which has a solitary cypress tree growing on it. If you cannot walk thorugh the private property an alternative route is possible. 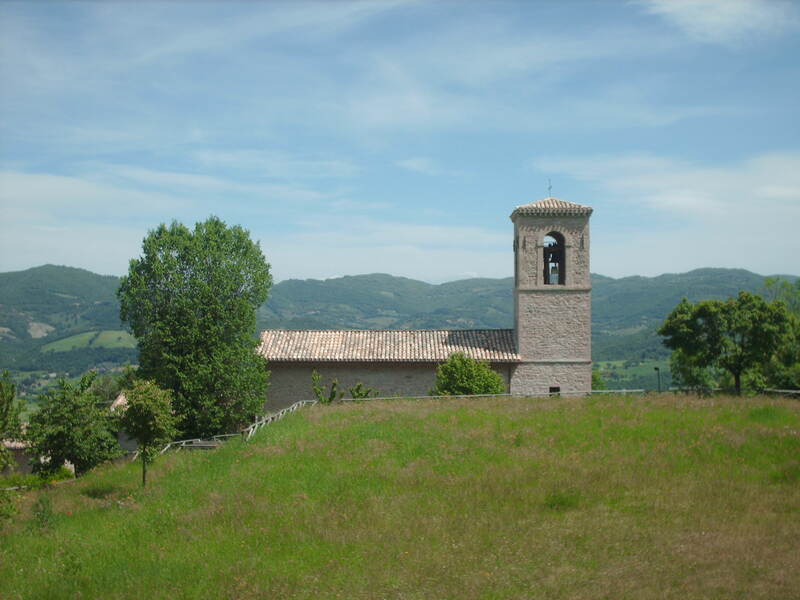 From the direct road near the house veer right and descend towards the cememtery; veer left and walk along a lovely cypress tree lined drive and then you reach Porta San Giacomo. 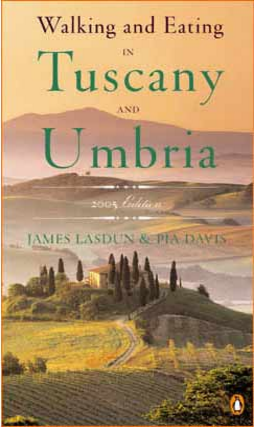 Without going through under the arch veer right onto an asphalt road that goes downhill towards the Tescio valley. After a few hundred meters, right in front of a dirt road that goes uphill on the right in correspondence to a break in the guardrail, take the grassy field left that within a short distance leads to a characteristic bridge on the Tescio. Take care when crossing the road as there are no side protection rails! the most obvious and least intersting route (for beginners): Cross the bridge and soon after you reach an asphalt road that you walk along veering left until you reach Ponte San Vetturino. Views of the bastions of the Convent of Saint Francis. an unusual route but the most interesting (for experts): Just before crossing the bridge, take the dirt road to the left that descends to the torrent’s bank. At this point, keep to the left bank of the Tescio river. Without a definite route—at times near the bank, at times further away—but without any problems along the route you can follow the current until reaching Ponte San Vetturino. After walking about 20 meters towards the town parallel to a crossroad with a shrine, take the asphoalt road on the left. At the next crossroads, go straight on along an uphill dirt track—locally called the Piaggia—that runs along the wall of the external part of the convent of Saint Francis. Towards the right olive groves, farmhouses, and the unmistakeable mass of the Basilica of Santa Maria degli Angeli. After going through the Portella di San Francesco, veer right downhill along Via Frate Elia, then walk veering left uphill on Via Apollinare, skirting the walls of the Benendictine abbey of San Pietro. After a few hundred meters take a large flight of steps on the right that skirts the walls of the Monastero of San Giuseppe. After walking through Porta Sementone you come to the busy n. 147 road that you take veering left uphill: keep on the footpath! 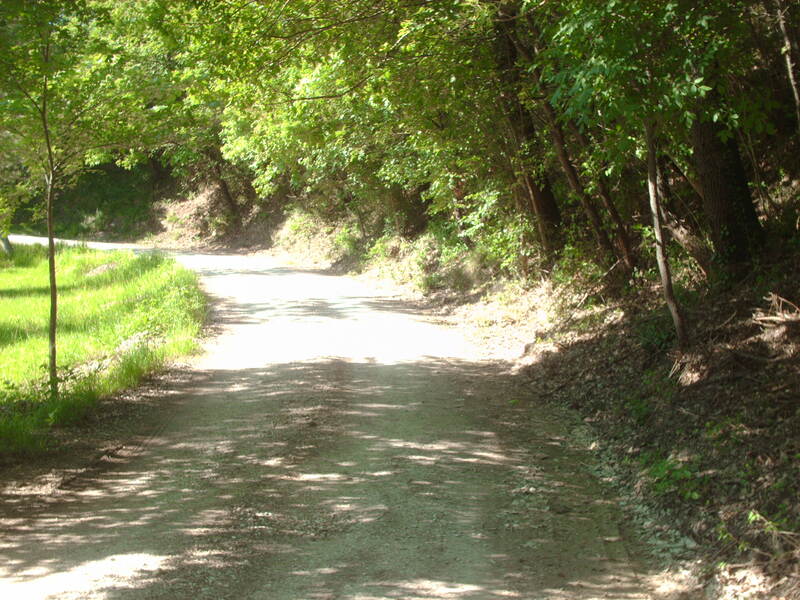 After having walked about 300 meters, leave the 147 to take a narrow asphalt road uphill on the left. Go through Porta Moiano continuing uphill, then veer right onto a descending flight of steps. Continue along a dirt track passing the historic public fountains long in disrepair. The bell tower of the church of Santa Maria maggiore, the Rocca Maggiore, and the Torre de Piazza dominate from behind. The dirt road—Via delle Fonti di Moiano, locally called Strada dei Cavallacci—keeps for quite a way on the top of the walls, and becomes asphalt and continues running along the walls. Once having reached Porta Nova, without going under the arch cross the road and continue uphill along Via della Selva. At the end of the street there are two small columns: and here our route around the town walls ends. At this point a rest is necessary—rest along the parapet—to admire the great panorama overlooking the Umbrian valley and Assisi: to the forefront the abbey and the church of Santa Chiara. Cross the road, enter the town park. Cross the road again and you return to Piazza Matteotti.Quest’articolo è riprodotto qua con il permesso dell’autore, Giuseppe Bambini, ed è stato pubblicato originariamente nella rivista ormai fuori stampa AssisiMia, di Francesco Mancinelli, editore. L’itinerario proposto consente di osservare le mura medievali della città, con scorci interessanti e inusuali. Consigliato abbigliamento comodo e scarpe adeguate a una gita in campagna, portate la macchina fotografica: verrà sicuramente usata. Non ci sono problemi di orientamento, è sufficiente seguire la descrizione e avere in mano la nostra rivista Assisi Mia: la pagina centrale con la pianta della città sarà utile per verificare in ogni momento l’itinerario descritto. Per l’intero giro – con passo comodo e senza fretta – occorrono circa 4 ore, l’itinerario può comunque essere accorciato in vari punti. Le otto porte cittadine toccate lungo il percorso, risalgono tutte alla seconda metà del XIII sec, essendo stata deliberata la loro costruzione dal Consiglio del Comune e dalla Magistratura nel 1260. Ed ora, buona passeggiata intorno alle mura. ITINERARIO : Da Piazza Matteotti, localmente detta Piazza Nova, si percorre in salita Via Santuario delle Carceri. Appena sottopassata Porta Cappuccini si piega a sin su sterrata in salita – ombreggiata da due file di cipressi – che fiancheggia il perimetro esterno della Rocca Minore (XIV sec), o Rocchicciola. Giunti al cassero si lascia la sterrata e si imbocca un evidente sentiero in discesa, con bel panorama sulla Rocca Maggiore. Lo stradello costeggia le mura e, superate alcune brutte baracche, conduce a Porta Perlici. Appena sottopassato l’arco piegare a ds lungo Via Porta Perlici. Percorsi circa 200 m, proprio all’inizio di un parcheggio sulla ds, si imbocca a ds uno stradello in discesa che inizialmente costeggia una recinzione metallica verde. Poco dopo il sentiero si biforca, trascurare quello che scende alla sottostante strada asfaltata e seguire quello di sin che sale verso le mura. Alla successiva biforcazione proseguire diritto. In basso la gola del Torrente Tescio con il Molino Tardioli e una torre di avvistamento ormai diruta. Se la passeggiata si svolge durante un pomeriggio soleggiato, il profilo della Rocca Maggiore si staglia contro le pendici di Col Caprile. Una rampa in ripida salita riporta a ridosso delle mura. Con percorso aereo e panoramico si supera una fitta fascia di ginestre (e asparagi), giungendo alla base della torre poligonale della Rocca Maggiore. Distrutta nelle lotte civili e nella guerra antiperugina – che portarono alla nascita del comune di Assisi (1198-1202 – fu ricostruita nel XIV sec. In basso il cimitero cittadino. Tramite breve scalinata a sin si può salire al piazzale antistante la rocca. Si continua su evidente sentiero in discesa che entra in un oliveto in prossimità di un casale privato. Piegando a ds si scende alla sterrata sottostante, quindi a sin al casolare: è consigliabile chiedere il permesso di passare. Ripreso il viottolo che costeggia le mura e superato un cancelletto (che va richiuso dopo il passaggio), si scende fra gli olivi in direzione del campanile della Basilica di S. Francesco. Si rasenta il nuovo parcheggio; una breve scalinata in discesa conduce a Porta San Giacomo, sulla cui cima vigile un solitario cipresso. Se l’accesso alla casa privata non è consentito, è necessaria una piccola variante: dalla sterrata in vicinanza della casa prendere verso ds scendendo al cimitero cittadino; percorrendo verso sin un bel vialetto ombreggiato da cipressi si giunge a Porta S. Giacomo. Senza sottopassare l’arco piegare a ds su strada asfaltata che scende verso la valle del Tescio. 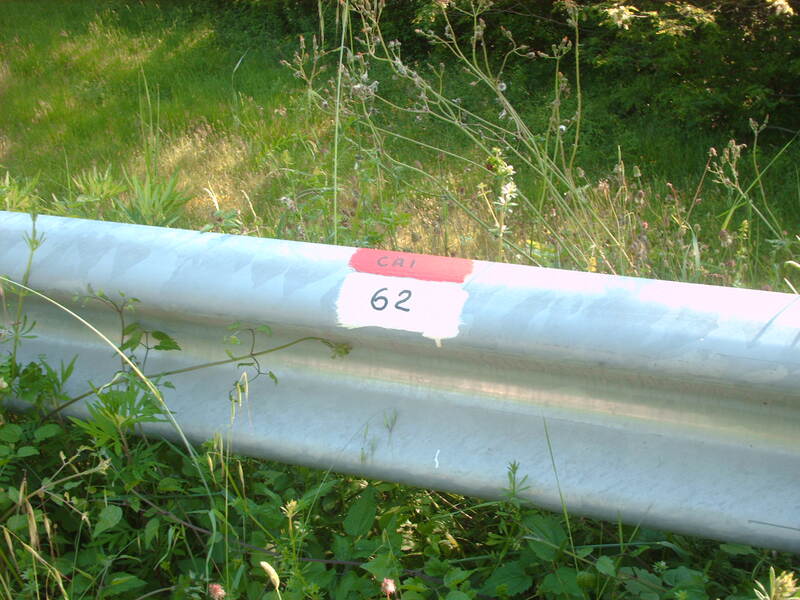 Percorsi alcuni centinaia di m, proprio di fronte a uno stradello che sale sulla ds e in corrispondenza di una interruzione del guard-rail, imboccare sulla sin una pista erbosa che conduce in breve a un caratteristico ponticello sul Tescio. Attenzione nell’attraversamento perché privo di protezioni laterali! 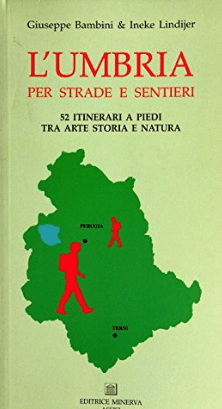 Da questo punto fino a Ponte San Vetturino vi sono due possibilità: 1- itinerario più scontato e meno interessante (consigliato ai meno esperti) Si traversa il ponticello giungendo poco dopo sulla strada asfaltata che si percorre verso sin fino a Ponte S. Vetturino; particolari vedute sui bastioni del Convento di S. Francesco 2- itinerario inconsueto ma più interessante (consigliato ai più esperti) Appena prima di traversare il ponticello si imbocca a sin lo stradello che scende al greto del torrente. A questo punto si mantiene la sponda orografica sin del Tescio. Senza percorso obbligato – a volte in vicinanza del greto, a volte un po’ distante – ma senza particolari problemi di percorrenza, si segue la corrente fino a Ponte S. Vetturino. Percorsi poche decine di metri verso la città, in corrispondenza di un bivio con edicola, imboccare a sin una strada asfaltata. Al bivio immediatamente successivo si prosegue diritto lungo una sterrata in salita – localmente detta la Piaggia – che costeggia le mura del perimetro esterno del Convento di S. Francesco Verso ds oliveti, casolari e l’inconfondibile mole della Basilica di S. Maria degli Angeli. Sottopassata la Portella di San Francesco si sbuca su strada asfaltata, che si percorre verso sin in salita (siamo di nuovo in città). Appena sottopassata Porta San Francesco (con le ante in legno), piegare verso ds in discesa lungo Via Frate Elia, quindi si percorre verso sin in salita Via S. Apollinare, fiancheggiando le mura dell’abbazia benedettina di San Pietro. Dopo alcune centinaia di m si imbocca a ds una larga scalinata in discesa che fiancheggia le imponenti mura del Monastero di S. Giuseppe. Sottopassata Porta Sementone si sbuca sulla SS 147 che si percorre verso sin in salita: tenersi sul marciapiede! Percorsi circa 300 m si lascia la SS 147 per imboccare a sin una stretta strada asfaltata in salita. Si sottopassa Porta Moiano continuando in salita, quindi si piega a ds su scalinata in discesa. Si prosegue su sterrata lasciando sulla ds i vecchi lavatoi pubblici, da tempo in colpevole stato di abbandono e decadenza. All’indietro domina il campanile della Chiesa di S. Maria Maggiore, la Rocca Maggiore e la Torre Civica (Torre de Piazza). 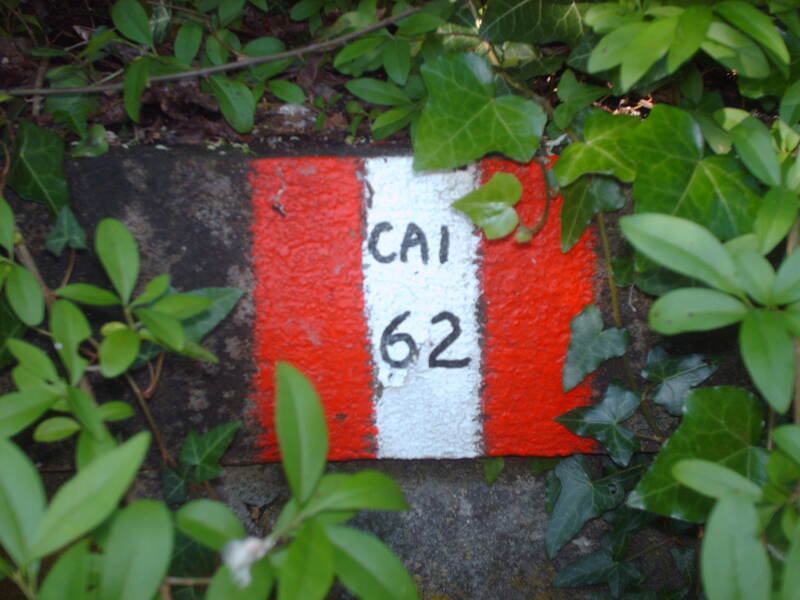 La sterrata – Via delle Fonti di Moiano, localmente detta Strada dei Cavallacci – si mantiene per un bel tratto sulla parte sommitale delle mura, come si può facilmente notare affacciandosi verso il basso, quindi diventa asfaltata e prosegue costeggiando le mura. Giunti a Porta Nova, senza sottopassare l’arco si traversa la strada continuando diritto in salita lungo Via della Selva. Al termine della via si trovano due colonnette; qui termina il nostro percorso intorno alle mura cittadine. 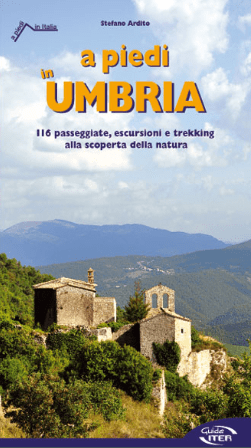 A questo punto è d’obbligo una sosta – appoggiandosi al parapetto – per ammirare il grandioso panorama sulla Valle Umbra e su Assisi: in primo piano l’abside e il campanile della Chiesa di S. Chiara. Si traversa la strada, si entra nel piccolo parco cittadino che si supera verso sin. Traversata la strada asfaltata si torna di nuovo a Piazza Matteotti.